Description: Dianna's guest this week is Wayne Buttery. “Celebratin’ the Blues” a first solo project for singer/songwriter, Wayne Buttery set for release in August with production slated for June 5th at Toronto’s Union Sound Company. Wayne has an incredible musical career having started in sixties and moved on to become one of the founding members of the well-known Toronto based nostalgia showband, “Bananas”. Over the years he has made several guest appearances with established artists such as Wilson Pickett, Garry US Bonds and Tony Flaim. In 2004 his band, The Groove Project opened for the legendary James Cotton Blues Band. After twenty-four years and three CD releases, The Groove Project has since disbanded. Wayne is now focusing on his solo career via a crowd funding venture for “Celebratin’ the Blues” with an incredible list of talented musicians with live performances scheduled for our region including a club engagement at Wasaga Beach’s Don Cherry’s Sports Grill on April 20th. 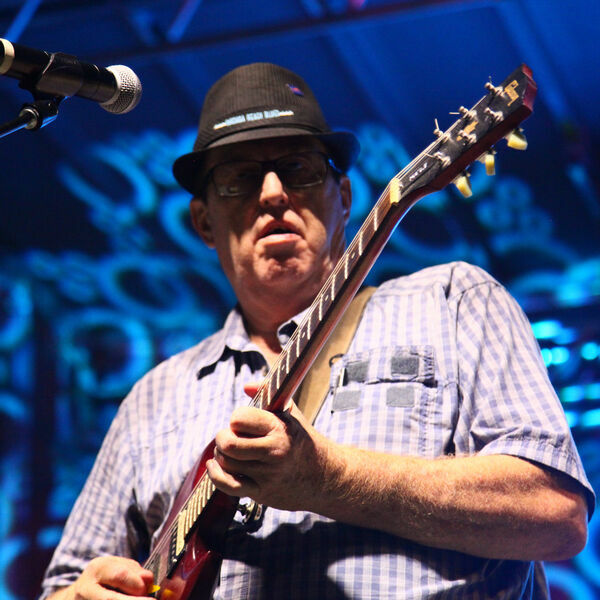 Wayne is also artistic Director for the Stonebridge Wasaga Beach Blues scheduled for September 14th to September 16th at Wasaga Beach Stonebridge Town Centre. For more information on the blues fest visit: wasagabeachblues.com and for Wayne Buttery visit waynebuttery.com and his Facebook page. Enjoy this Podcast anywhere on any device! Dianna's guest this week is Wayne Buttery. “Celebratin’ the Blues” a first solo project for singer/songwriter, Wayne Buttery set for release in August with production slated for June 5th at Toronto’s Union Sound Company. Wayne has an incredible musical career having started in sixties and moved on to become one of the founding members of the well-known Toronto based nostalgia showband, “Bananas”. Over the years he has made several guest appearances with established artists such as Wilson Pickett, Garry US Bonds and Tony Flaim. In 2004 his band, The Groove Project opened for the legendary James Cotton Blues Band. After twenty-four years and three CD releases, The Groove Project has since disbanded. Wayne is now focusing on his solo career via a crowd funding venture for “Celebratin’ the Blues” with an incredible list of talented musicians with live performances scheduled for our region including a club engagement at Wasaga Beach’s Don Cherry’s Sports Grill on April 20th. Wayne is also artistic Director for the Stonebridge Wasaga Beach Blues scheduled for September 14th to September 16th at Wasaga Beach Stonebridge Town Centre. For more information on the blues fest visit: wasagabeachblues.com and for Wayne Buttery visit waynebuttery.com and his Facebook page. Enjoy this Podcast anywhere on any device!